As part of its coverage of the NHL draft combine, TSN did an interview with Dean Lombardi, during which he doesn’t tip his hand about which direction he’s leaning (although we all know it’s a defenseman) and talks about a couple of the prospects in particular. 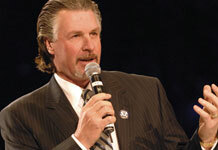 Barry Melrose will be the new coach of the Tampa Bay Lightning, according to Damien Cox of the Toronto Star. Here’s the interview I did yesterday with Patrick O’Sullivan. He discusses his experience at the World Championships this month, as well as his personal development as a player, his hopes for the Kings’ improvement and his contract situation this summer. It’s been very interesting to watch O’Sullivan develop. I still remember watching him at his first prospects camp and thinking he had all the talent in the world, then watching him consistently go backward until he eventually landed back in the AHL. 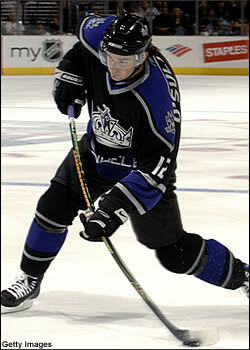 Then he started a tremendous comeback and essentially reinvented himself in the eyes of the Kings. Along the way, he’s gone from being a quiet kid to a more confident player. 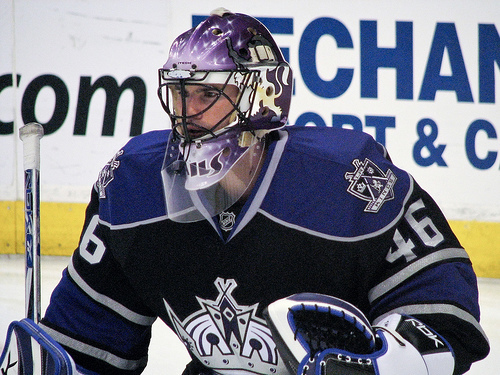 Here’s the interview Don did this week with Danny Taylor, the much-traveled goalie who logged some big miles between Los Angeles and Reading near the end of last season. Don gets the scoop on what that was like for Taylor and also gets to know Taylor a little bit, going into what should be a crucial summer for him. Also, we’ll have a series of interviews in the next couple days. I talked today to Patrick O’Sullivan, who said that contract negotiations with the Kings are progressing but that he doesn’t consider a deal to be imminent. I’ll have the whole interview up tomorrow. 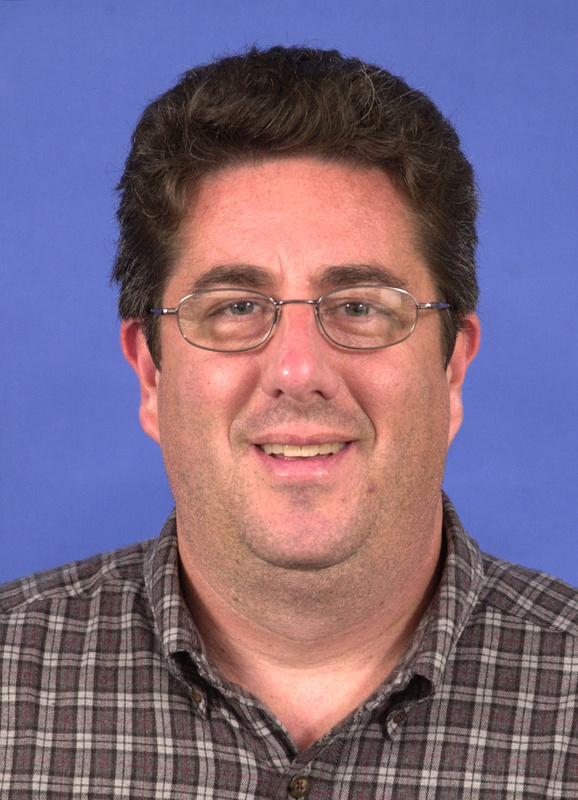 Also, Don has tracked down Daniel Taylor and is trying to get a couple other prospects this week. As part of Dean Lombardi’s North American tour to visit draft prospects, he met with Zach Bogosian this week. Here’s a short story from the Peterborough Examiner, with a couple quotes from Bogosian and the assertion, from Bogosian’s father, that Bogosian wouldn’t mind playing for a West Coast team. NHL.com is supposed to be doing podcasts with Marc Crawford after each of the Stanley Cup Finals games. I haven’t seen the Game 2 version, but for those who want to here Crawford’s thoughts about Game 1, you can click here. Crawford also comments here about the job Tomas Holmstrom did for Detroit in Game 1.